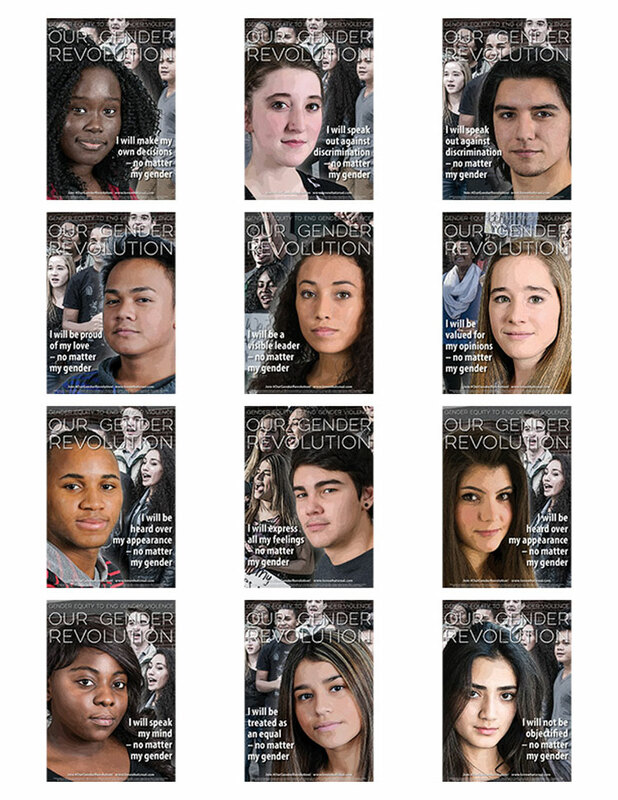 The High School Our Gender Revolution poster series highlights twelve powerful personal statements from youth that inspire conversations around healthy gender identity. These posters are a “call to action” and promote gender equity as a way to end gender violence. Order materials online to be download (materials will be delivered electronically after order is placed), print and distribute in your community today.